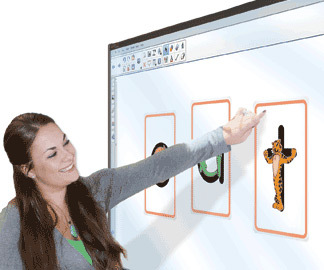 Zoo-phonics® promotes optimal learning and development. According to the NAEYC (National Association for the Education of Young Children), “Developmentally appropriate practice, often shortened to DAP, is an approach to teaching grounded both in the research on how young children develop and learn and in what is known about effective early education. The second principle is teaching to enhance development of learning. Teachers make it a priority to know each child well and also the most significant people in a child’s life. Teachers know what desired goals for the program are and how the programs curriculum is intended to achieve those goals. Teachers plan for learning experiences by implementing a comprehensive curriculum so that children can achieve goals in key areas. Teachers know how to scaffold children’s learning with just enough assistance for them to master the skill and begin to work on the next skill. Teachers draw on many teaching strategies to foster learning for the group and each child individually. Educators include all children regardless of special needs into all classroom activities with their peers. The third principal is to plan with Common Core Standards and other mandates in place using the curriculum to achieve important goals. Teachers use their extensive child development knowledge to identify and plan goals for the classroom that align with Common Core Standards and other mandates. Teachers utilize curriculum framework to ensure proper attention is given to learning goals. While planning teachers integrate experiences across several domains such as physical social emotional cognitive which include language literacy mathematics social studies science art music physical education and health. The fifth principle is establishing reciprocal relationships with families. In relationships between teachers and families there must be a mutual respect. Corporation and shared responsibility including negotiation of conflict toward achievement of shared goals. Teachers work in partnership with families establishing and maintaining two-way communication with families. Teachers and families work as a team to share information about children’s goals progress and daily life. Family members are encouraged with multiple opportunities for family participation within the classroom setting. * Learn more about DAP at NAEYC (National Association for the Education of Young Children). I wanted to share something we are doing in my Cobb County, Georgia special-needs preschool to support our Zoo-Phonics®. My class is very young and there are some intense behaviors and sensory needs. I have some students who know all of their letters and some who are non-verbal and not yet recognizing animals. Like most cross-categorical special-needs-preschool classes, I have a large mix of ages and abilities. I was looking for a way to keep “letter of the week” examples where they could access them without eating them, throwing them, destroying them, or biting/choking on them, and something which would work for my very lowest students while still challenging my most advances students; so I made a Zoo-Phonics table. It has been extremely popular! I use an old (tempered glass) glass-top display-style coffee table, but it would be easy to make one. I lined the bottom of the display area with reflective mylar. Every Friday after school, I fill the top of the table with items and pictures which start with the letter of the week for the following week. We add a couple of new things each day after the children leave so they can discover them the next morning. We give the children cards with pictures of the things inside the table. They use magnifying glasses and little flashlights to find the match for the items on the cards, like eye-spy, saying the names of the items. We work on SOOOO many skills and concepts at the same time to let us differentiate for our higher and lower students. For example, one child is finding a match for an identical photograph of a large item in the table (or even an identical object to an object the teacher hands him), while his classmate might be asked to find things by color or size or function, i.e., “What do we ride on when we go to school in the morning?” or “Who made the honey in our story this morning?” This is one of our most popular centers! Thanks again for a great program. This is my eleventh year of teaching preschool, and my second year of teaching special-needs preschool. I have used many phonics programs and really like Zoo-Phonics®. My class is learning a lot!